Entrepreneur with innovative ideas to develop safe and secure products and services within the food industry? Working in a country around the Baltic sea? – Activities: study trips, seminars, etc. The network can provide services and expertise in any Baltic Sea country close to the company. Contact is made easy for the companies. 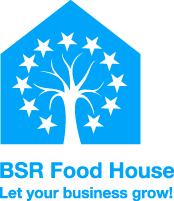 Please, read more about BSR Food cluster network – your link to a possible future success. If you are interrested please contact us.